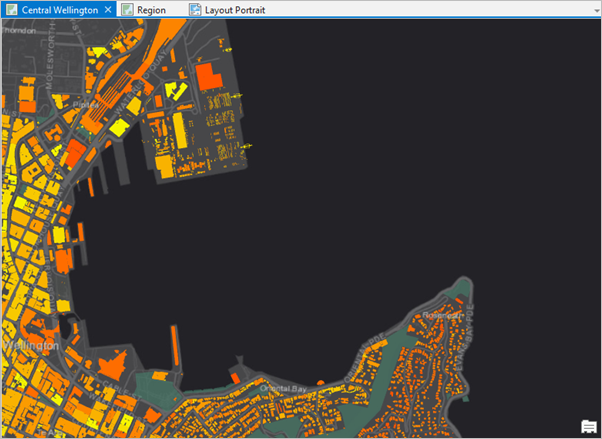 I imported a map created in Arcmap and saved in Layout view into Pro. The map was well imported and appears also in layout view in Pro. But I have been trying to switch to Map/Data view in Pro but don't seem to know how. Can anyone point me in the right direction? Am sure it should be simple but I just haven't figured it out yet. When you insert new layout , it will appear as new tab. navigate to DataView just the way it happens in arcmap. not possible yet to revert to Data/Map View in Pro. Is the answer yes? Add the mxd to pro as described in the FAQ and the link on Add Existing Work just add more than the layout, add the data frames. I had the same question - just find the Maps tab in the Catalog. It's simple but someone else had to show me. The Catalog has a lot of nice features that I had been ignoring. Karen - this was SO helpful!!! Thank you. I have same problem. When I import an MXD from ArcMap file geodatabase into ArcGIS Pro following the instructions in the Add Existing Work, it only imports the layout view with unorganized items.The imported "map" does not include the main featureclass that I worked on in ArcMap project, and it does not even let me to add it in ArcGIS pro. It seems to me that the Import process into Pro from ArcMap should simultaneously add both a layout view and a data view in Pro, so it is a one step process instead of a two step process. Same problem with me, if one of my MXD's I was importing were saved in Layout View that's all I would get in Pro, had to open the file in Arcmap then save it in the Data View then recreate the Layout View once imported to Pro. I found that when I imported my map (even if it was in layout view before) if I went to the Catalog in Pro and looked under Maps it was there, it just didn't open a tab by default. I am coming to learn that the catalog window in Pro has more necessary functionality than in ArcMap. The same workflow would apply if you save an mxd in data view before importing mxd into Pro. Use the Catalog View and select Layouts and the Layout from ArcMap should be available there to Open. Thanks for your reply. It was helpful.